We were in Puglia in southern Italy for seven days, and these beautiful olive groves were just outside our door and the strange, pulpy earth the trees grew in turned orange and then pink every night at sunset. 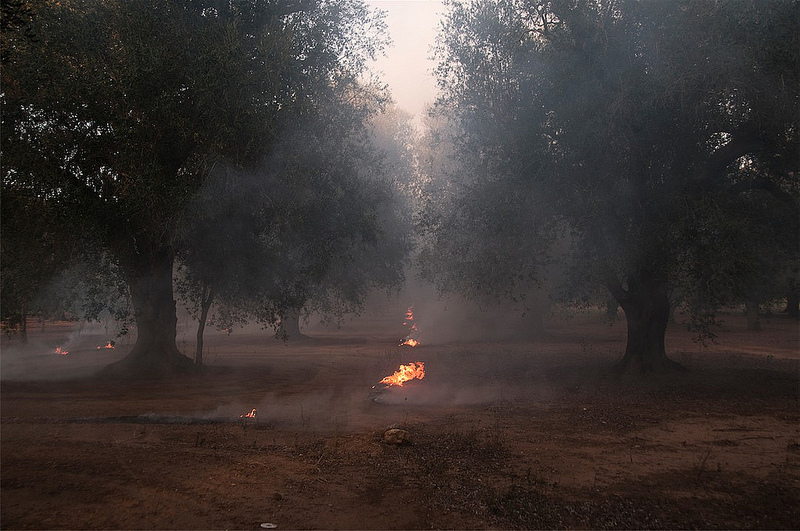 One night, the olive farmers were out in the groves collecting brush and lighting little fires in the rows. It was strange and beautiful and felt, for a minute, like you found that elusive path in ancient epics that led to the gaping maw of Hades.